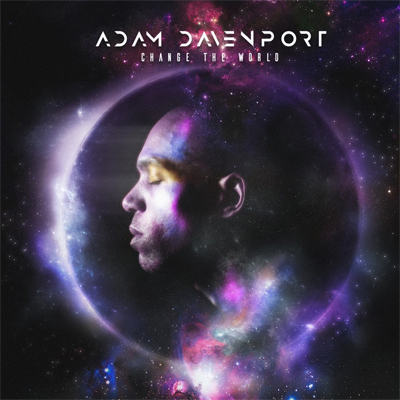 US based artist and actor Adam Davenport is back with his brand new single 'Change The World' available December 7th. The decision to cover Wynonna Judd's (often mistaken as Eric Clapton's) original 'Change The World' from 1996 was motivated by Adam's idea that shifting the creative direction to a more EDM heavy production would bring new life to the classic hit that was originally a country song. The single was produced with Jonathan Shulman (Proper Villains) and was recorded in LA whilst Adam was auditioning for acting roles. The new release comes after his successful debut single 'My Return Address Is you' in 2017 which soared on the Billboard Dance Charts for 10 consecutive weeks peaking at #23. 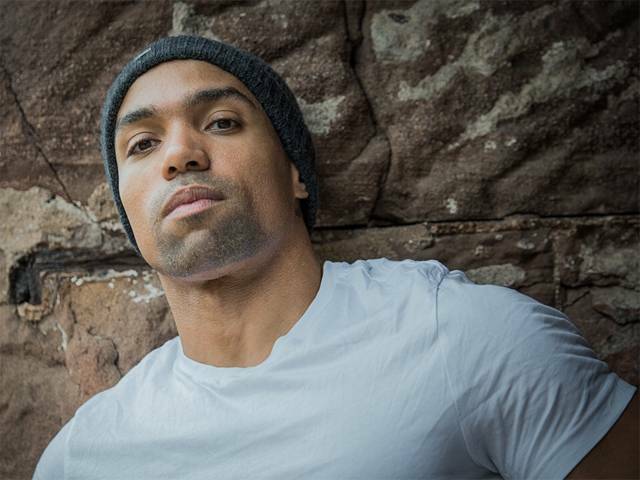 After numerous accolades including an award of achievement from President George Bush, Sr for writing when he was 15, winning The Independent Music Award at the Lincoln Center this Spring, working alongside numerous notable actors such as Oscar winner Melissa Leo and being an advocate for gay, black artists by opening discussions on the absence of black artists in EDM, it's clear to see Adam Davenport is set to close 2018 in a huge way with an even bigger 2019 to follow. Question: What inspired the cover of Change The World? Adam Davenport: It's continuing a theme I introduced in the cover art to my first single "My Return Address is You." It's this idea of being a black man entering a space where no person of color has gone before. I associate many of the sounds of electronic dance music with outer space and I do believe that EDM is the music of the future. Stanley Kubrick's 2001 also happens to be my favourite movie of all time so I wanted to make a small reference to Star Child floating in the orb at the end of the film. Question: How have you made this track your own? Adam Davenport: Wynonna Judd's three-minute, nineteen-second take on the song is more a traditional country music track. Eric Clapton's three-minute, fifty-five second version was produced by Babyface who brought a blues element to a folk/pop rock track. My two-minute, forty-eight second version is electro-pop with elements of house music. You'd never think of hearing that song with processed vocals, distorted samples, pitched vocal bits and sidechain compression for instance. But that's the direction I went on it. Question: What message do you hope to spread with this release? Adam Davenport: These days you can't turn on the news without hearing about another tragedy or loss. There are those who make hate and fear their platform and profit from it. And I believe that the only thing that can change the world is love. And changing the world can begin as simply as changing another person's life through just that: love. Adam Davenport: I've been called an EDM artist but EDM is really such a broad term " there are so many sub-genres that could be classified as electronic dance music. Right now I am making house pop. I like to take elements from house music and intertwine it with the pop-song form. But I'm sure my sound will evolve as I become a better musician. Adam Davenport: I can't walk past a piano bar without dropping in and singing "My Way." I feel like I've lived the lyrics of that song in my own way and it always surprises people when I sing it because I sound different from how they are expecting me to sound. I always like a good old-fashioned ballad that calls for vibrato. As a DJ, I feel alive every time I play the Gui Boratto Dub of "My Head is a Jungle." The bass just fills my entire body and sends me. They should play it at my funeral to set the tone that this is a celebration of a life lived to the fullest that calls for nothing less than a dance party, full stop. Adam Davenport: Hmm... I'd love to know what Meryl Streep thinks of EDM. But I'd maybe rather see Robert Downey Jr. get up on stage and start dancing next to the DJ booth. Adam Davenport: That's a good question. I have more experience performing live " being an actor who has been in a couple musical theater and opera productions in New York City. But the more time I spend in the studio, I find there's an intimacy I'm able to tap into that makes me curious to explore that part of myself more. I recorded my next track at Mercy Studios where the likes of Blondie, Cher and Snoop Dogg have recorded " it felt like a privilege to work there and I think with each time I go into the studio I become a better singer. My vocals on the next one are stronger than on "Change The World" because I'm more confident. Adam Davenport: My music is an extension of where I am in my life emotionally at that given moment. I think because I come from a background of dramatic writing I start with the lyrics. Three years ago, I wrote some lyrics on a piece of paper on the subway; my first romance in New York City had ended and I was processing those feelings… despair, loneliness, heartache" it became "My Return Address is You." I'm in a much better place now so I think that definitely reflects in the tone and mood of what I'm producing. Adam Davenport: Mahmut Orhan and Gui Boratto on repeat at the moment. When I don't want to listen to electronic or dance music, I listen to jazz or classical music. Ella Fitzgerald, Strauss, Quincy Jones. My ear is eclectic. I think I just like good music in general. Adam Davenport: I took piano lessons for ten years as a kid with a woman named Diane Egan who ran a bustling studio with her husband out of her home in Park Forest, Illinois. I studied music before I studied filmmaking or acting. So in some ways music was the backbone of my creative pursuits. But now as an adult, I ultimately want to use electronic dance music as a dramatic tool to tell stories. I am developing my own EDM musical that I would also like to make into a film. So I am building my name as an artist in the genre while I develop this project. Slow and steady, as they say. Adam Davenport: I'd love to feature as a vocalist on a track from another producer. There's so many I'd love to work with but I'm going to say Tiesto and Armin Van Buuren. Adam Davenport: Preserving and protecting my own creative impulses while navigating through the bureaucracy of the industry. This also has made it a challenge to find and assemble a team who can not only represent my best interests as an artist but also invest the energy and time to be active collaborators in the day to day. I've had to do a lot of things by myself out of necessity. Adam Davenport: I think I am most productive at night because I can work uninterrupted with no distractions. I do some of my best creative work in the evening. My boyfriend also has been working overnight shifts so I find that if I stay up later, our sleeping schedules might overlap more. So if he's going to bed at 9 AM, I might be in bed by 3 or 4 and up at 10. Of course that schedule goes out the window if I have an acting commitment as the call-times on set are usually very early. Fitness is also a huge part of my life: I'm at the gym 5 or 6 days a week. I must confess I have two gym memberships. Adam Davenport: It used to be gaining respect from people who knew me socially or casually but maybe didn't take me all that seriously. But that has too much to do with ego and seeking validation. I think now what excites me is trying to do things that haven't been done before. And doing things I haven't done before " that push me outside of my own comfort zone. Adam Davenport: Of what I can share publicly right now, I'm finishing up my next track "You'll Never Find Another One" " it's a collaboration with a producer named Sean Greiner (MFJonez) that we co-wrote with Gail Grossman. Sean and I also have some DJ gigs lined up. And next month I go back to the Metropolitan Opera for the second run of Aida through March; I have a small role in Act II. Looking to the future, I'd love to do a disco track. Something with a live violin.